This is a standard shape and size painted BC top, with a color fade to color paint job. Different logos for each color. 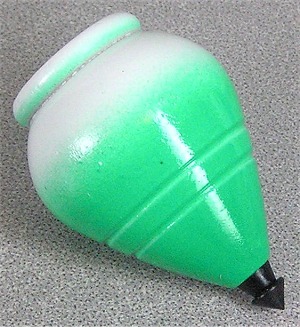 Pictured here is the Green Shamrock version of the spin top.